Ilike is a traditional Phinisi liveaboard, build in Bira (a famous boat building village in South Sulawesi) back in 2010, and in 2016, it was converted to a diving liveaboard, catering all the needs of the modern and demanding scuba diver. 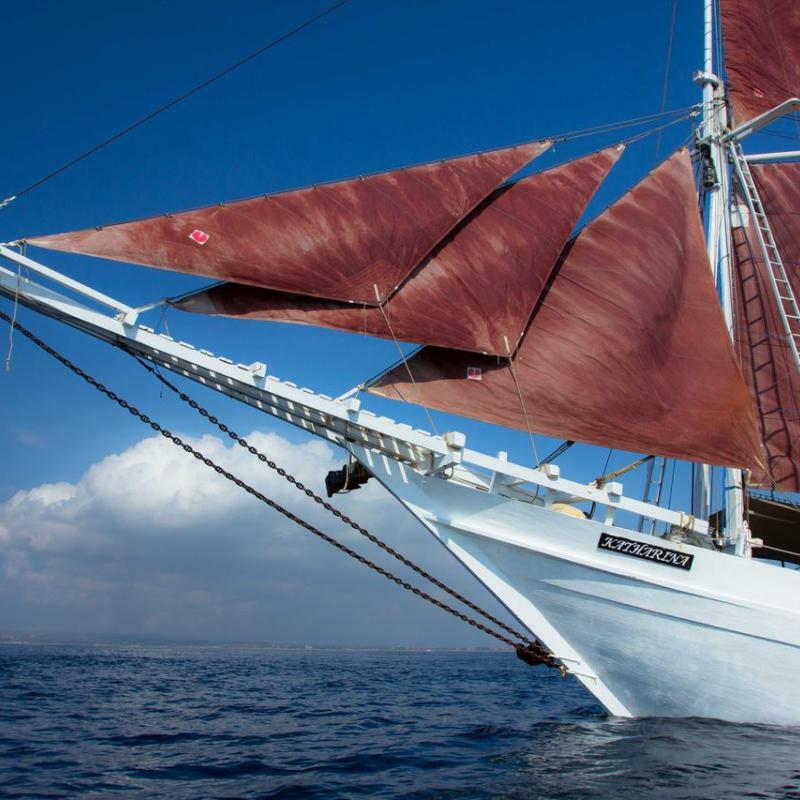 As a guest on board of this charming vessel, you will experience a unique liveaboard and spectacular diving in the rich waters of Indonesia. Ilike measuring 40 meters in length and 8.4 meters in width, with cruising speed at 10 knots per hour. 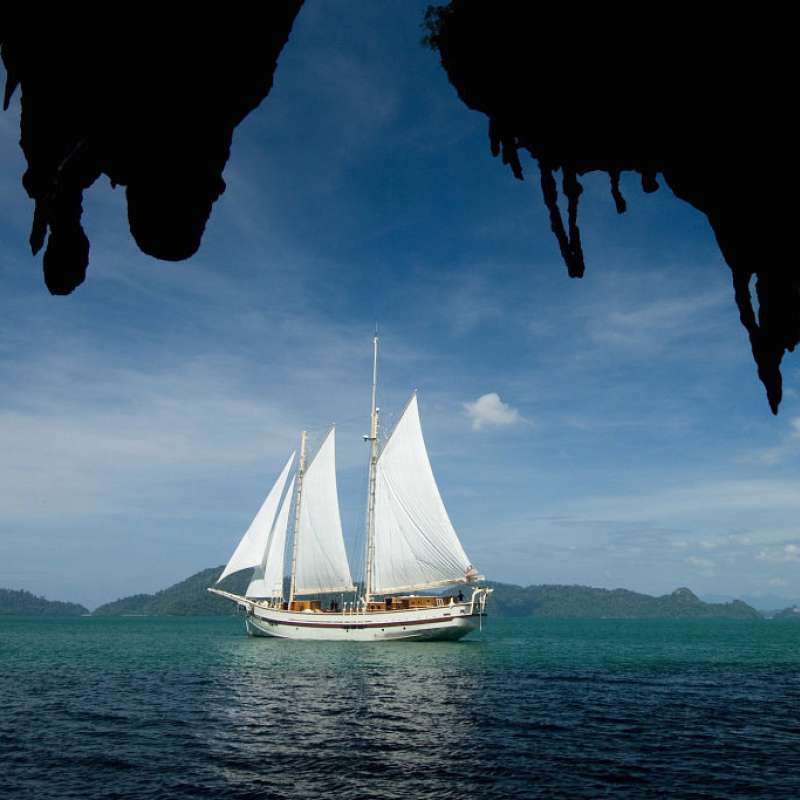 It combines the luxury of a traditional sailing boat with the comfort of a modern yacht. Ilike offers Indonesian and international meals. Meals will be served in the spacious saloon with open kitchen or on the outdoor deck sitting area at the stern of the boat, well protected from wind while sailing. So guests can enjoy the beautiful view while eating. The comfortable dive deck is located in front of the boat on the main deck, it's possiblely one of the most spacious dive deck on Indonesian liveaboards. As a diver you can choose to dive on Air or Nitrox from the membrane Nitrox compressor. Between dives you are invited to catch some sun on the sun deck, where you will also enjoy spectacular sunsets, sipping a cool drink! Ilike has 7 comfortable guest cabins, it can accommodate up to 14 guests on board. All cabins are air-conditioned and equipped ensuite bathroom with hot shower, storage area, 220V power plug facilities. Located on the lower deck, it is one of the biggest cabin onboard, it designed for 2 persons, comes with one double bed, bathroom with shower, lots of portholes. Located on the lower deck, each cabin comes with one double bed and one single bed (bunk style), bathroom with shower, portholes. Located on the lower deck, each cabin comes with two single beds (bunk style), bathroom with shower, portholes. The bathroom in budget cabins is smaller than in other cabin types. Croisière Plongée dans le Parc National de Komodo en partant de Bali. Les sites visités sont les meilleurs du Parc avec en plus la possibilité de plonger à l'ouest de Komodo et les sites de Sumbawa. Service de qualité sur un bateau qui a fait ses preuves, pour un maximum de 18 plongeurs.